Finally some news. It’s been a while. Our apologies, we are very aware. Winter in Europe, not much happening. Except for filmmaking. The postproduction process is a long one. While waiting for Spring, we are happy to announce that we have found a very good translator and get support from a bunch of the world’s best editors. And very soon, like the first spring flowers… there might be a first peek moment… Finally some excitement! Excitement is always around in Salone. The dry season is in full swing, which means the surf is down most of the time. But there is good news! The BBSC has accomplished that Sierra Leone has become the 98th member of the International Surfing Association (ISA). Congrats! “As we are seeing in Sierra Leone, along with the excitement and energy Surfing can bring it also has a unique capacity to bring people and communities together – helping to create social opportunities and economic growth. Fernando Aguerre, ISA President. 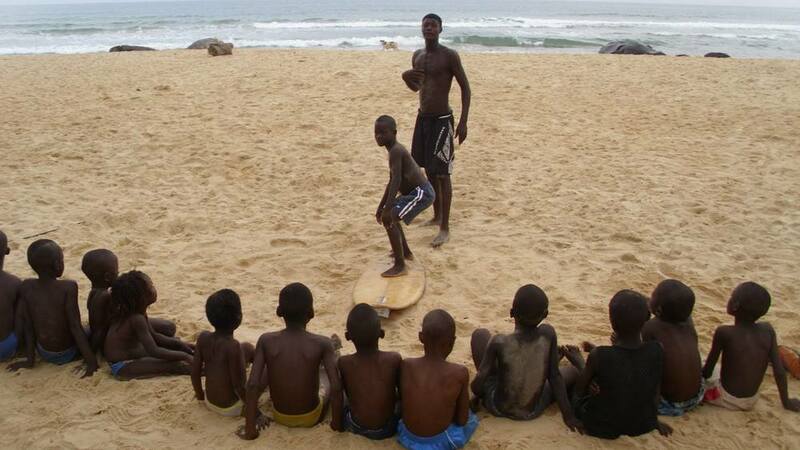 This means they can compete in competitions, become ISA approved instructors and receive grants to develop surfing and education in Sierra Leone. Fine, fine, as they would say in Salone! Stay tuned, stay stoked. Spring will be an exciting season! Older PostEbola Bye Bye! Let's dance!